Supplier & Wholesaler of Water Coolers & Water Cooler in Pune. Our product range also comprises of Air Conditioners, Split Air Conditioners. With rich industry experience and knowledge, we are indulged in offering a qualitative range of Water Cooler. 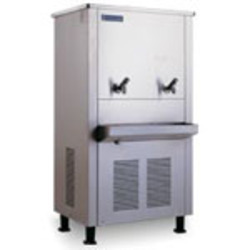 This water cooler is designed and manufactured by making use of the best quality components and sophisticated techniques by our vendors’ team of experts. Apart from this, our offered water cooler is rigorously verified on different parameters of quality to offer faultless range at the clients’ end. Furthermore, clients can purchase this water cooler from us at competitive prices. We Deals in Pune, Maharashtra. Looking for Water Coolers in Pune ?